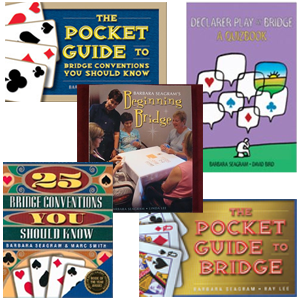 We are pleased to offer a variety of bridge books and computer software packages to enhance or complement your bridge game. 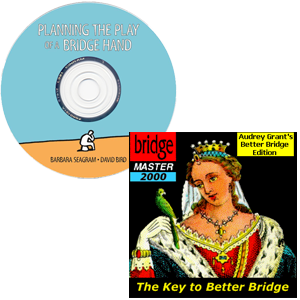 To begin, please select an option, Bridge Books or Bridge Products (Software). 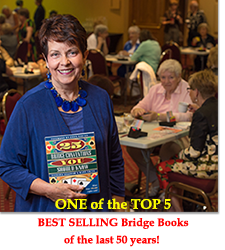 Barbara has 27 published books plus her text books but says that the best thing she has ever done is the cheat sheets. 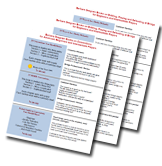 They are a comprehensive, very detailed summary of all the main facts, contained in a fold-out, laminated flyer which is a very easy reference at all times.